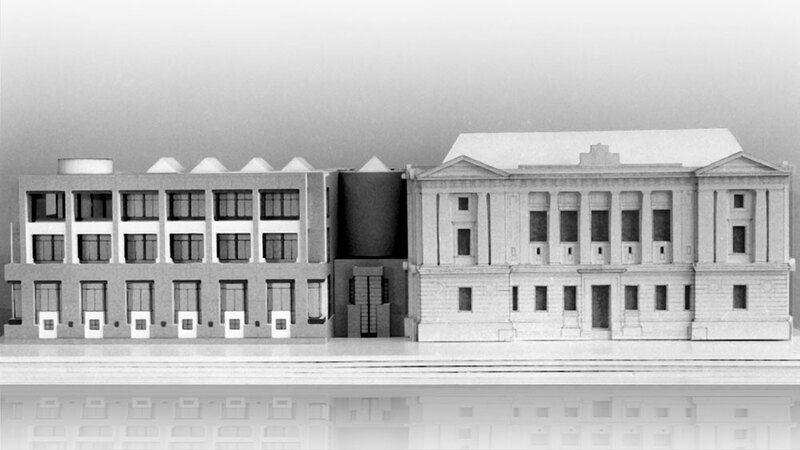 This addition to the original courthouse constructed in 1910 was designed for a highly constrained urban site. Sandwiched between the imposing granite structure to the west, an antiquated jail to the east, and city streets to the north and south, The design team successfully organized a large program into a small footprint. 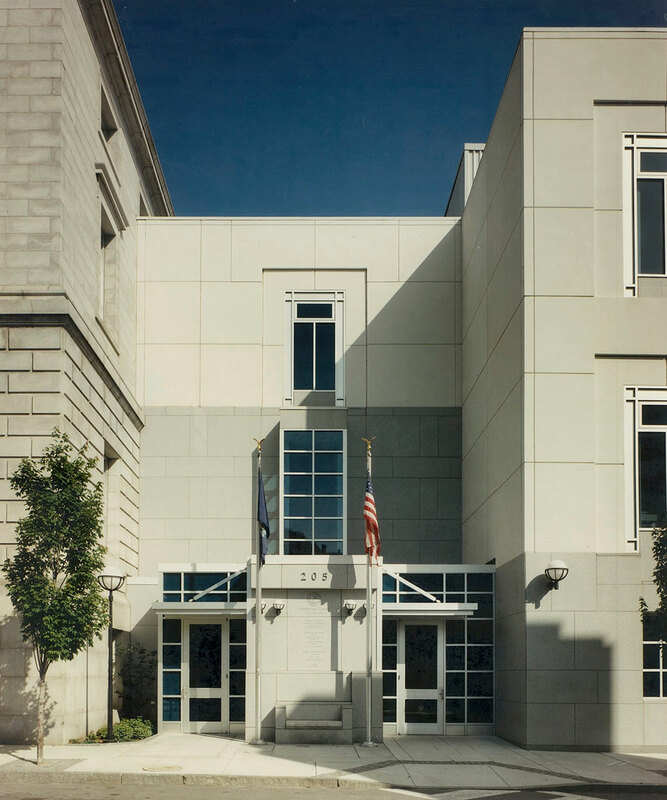 A combined district and superior court facility, the building contains both juried and non-juried courtrooms as well as an arraignment courtroom and a hearing room. The design includes a new single secure public entry on Newbury Street opposite a parking garage. 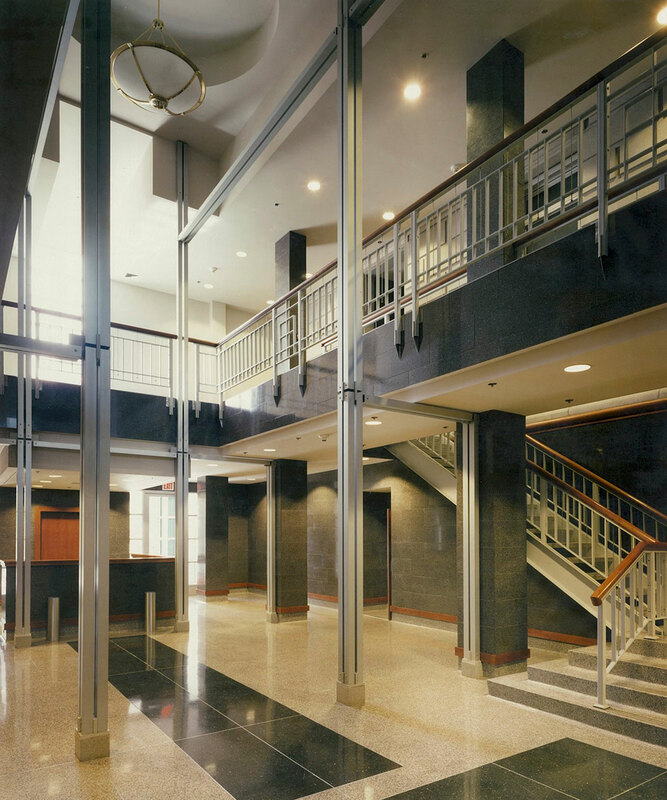 Secure parking for the judiciary, a sally port for in-custody transfers, and central holding are also located at the ground floor level on Newbury Street. 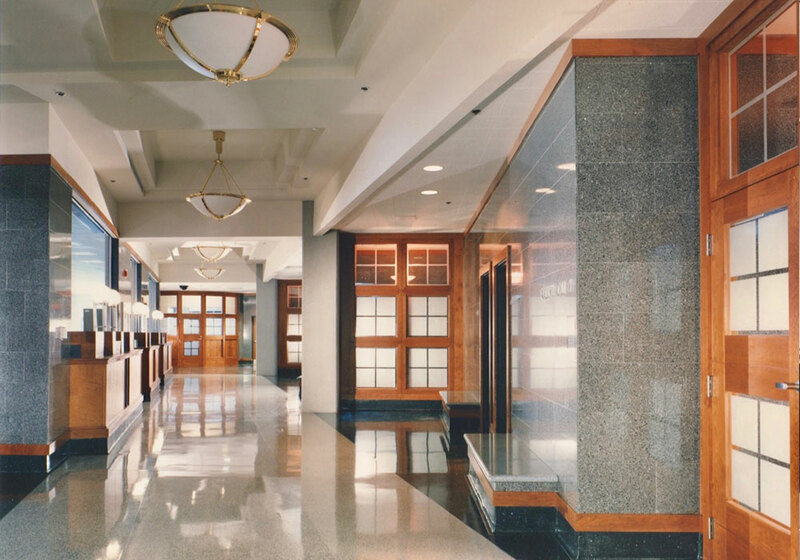 the entrance lobby is a two story space and features the exposed facade of the historic courthouse with its carved granite details. The arraignment courtroom is located immediately off the lobby. 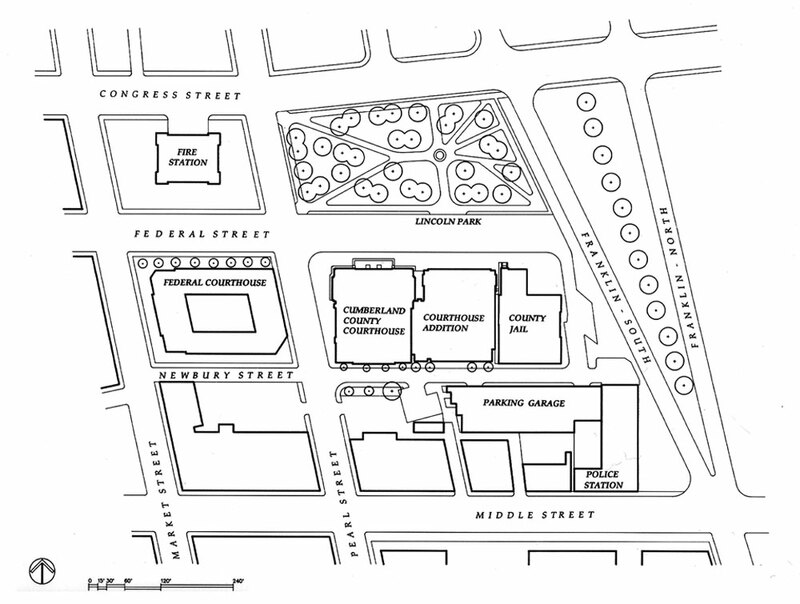 The three district and three superior courtrooms are stacked in an arrangement that accounts for their differing lengths and creates a diagonal public corridor. 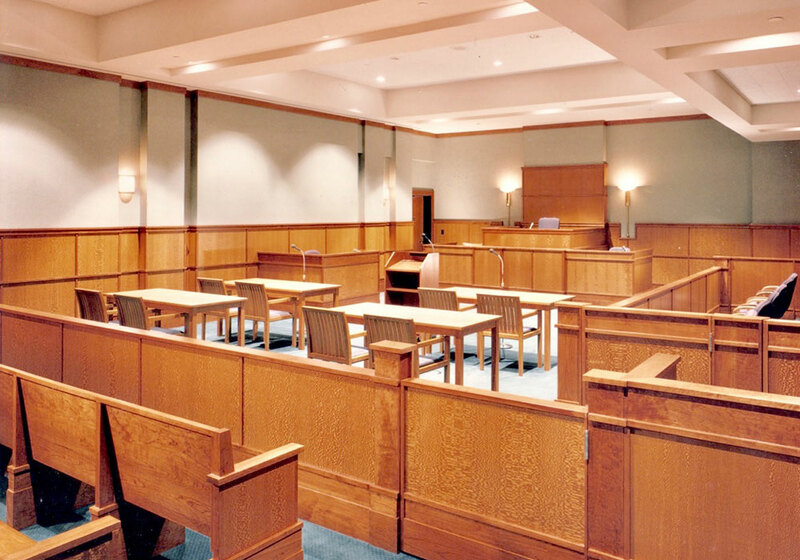 This allows for all three courtroom entrance vestibules to be viewed simultaneously upon when one enters the floor from the elevators or the original courthouse. The vestibules were designed in wood and glass and illuminated to distinguish them from the adjacent stone panels. 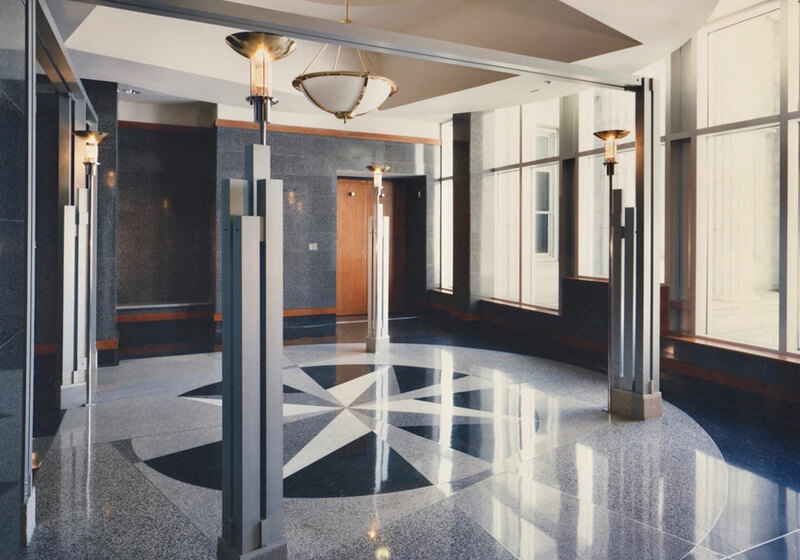 Flooring is cast terrazzo with geometric patterning. Offices for the clerk of the court are located at the north side of the building facing Lincoln Park. Glazed curtain walls provide ample uniform daylighting and park views to the office spaces. 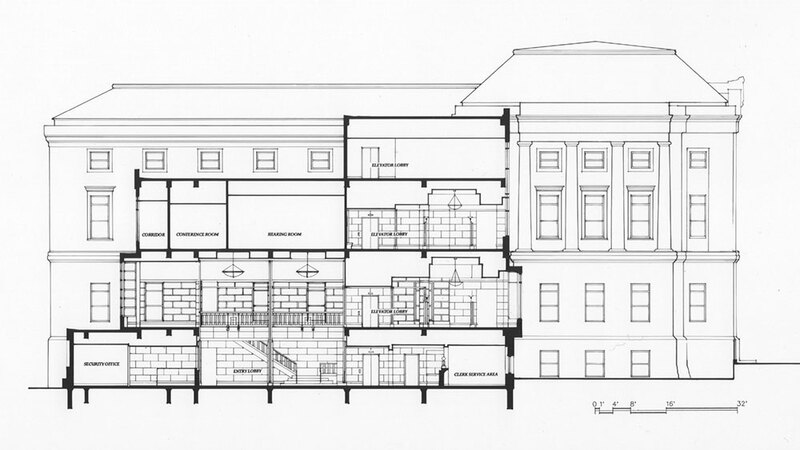 Chambers for the judiciary are located on the upper two floors on the Newbury Street side. Bullet resistant glazing was utilized in chambers given the proximity to the parking garage across the street. The addition has a cast in place concrete structural frame with 2-way slabs. The exterior features granite veneer, glass fiber reinforced panelized concrete, aluminum, and blue tinted glass.